By Kim Bo-eun. Published on November 16, 2012. Click here to go to the original article at The Korea Times. The government plans to join the Hague Convention on Intercountry Adoption to better protect the human rights of overseas adoptees. “We are in the process of making domestic laws accord with the standards of the convention,” said Lee Kyung-eun, director for child welfare policy at the Ministry of Health and Welfare said Friday. The ministry announced a set of measures to increase support for Korean overseas adoptees. They include aiding them in finding their parents, providing them the necessary services when they visit their home country and expanding opportunities to have contact with Korean culture. “If the parent or family is unable to provide a home, the child should be sent to certified domestic institutions. International adoption should be the last resort,” she added. “Support for single moms also needs to be expanded, as most cases of adoption arise due to the lack of it,” Lee said. She added that the government needs to create a division in charge of adoption policies so that it can certify and oversee adoption institutions. 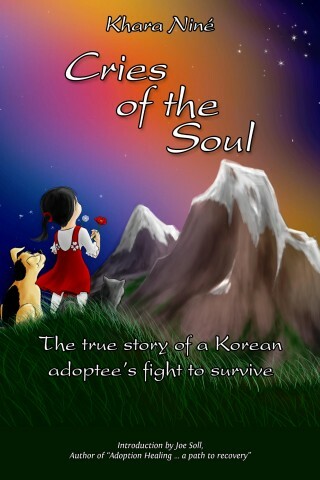 Korea is yet to become a signatory to the International Convention Protecting the Rights of Overseas Adoptees which went into effect in 1995 worldwide. It has been ratified by 91 countries so far. The reason Korea had not yet been able to join the convention is because its laws did not meet the required standards. But, the government has made efforts to lay the groundwork for the joining. A special act on adoption was enacted on Aug. 5. The act only allows adoption after court approval. The ministry plans to create a taskforce with other ministries by the end of this year to prepare for the joining of the convention. According to ministry data, some 240,000 children were given up for adoption from 1958 to 2011. Among them, 165,000 were adopted overseas while 76,000 were adopted domestically. The number of overseas adoptees has been decreasing since it reached its peak in 1985. The domestic adoption rate began to surpass overseas adoption for the first time in 2007 because of stronger regulations against the latter. Kim Do-hyun, director at KoRoot, a nonprofit organization for Korean overseas adoptees, said that although Korea has shown great progress, it still has far to go. “The government needs to change the current reporting system in which parents voluntarily register their child within 14 days of birth, to one where births are immediately registered by government officials,” said Kim. “Such a system provides babies legal rights and a safeguard from laundering, trafficking or abduction,” he said. He added that the government needs to provide single moms as much financial support as they are providing orphanages, to help them afford to keep the babies.